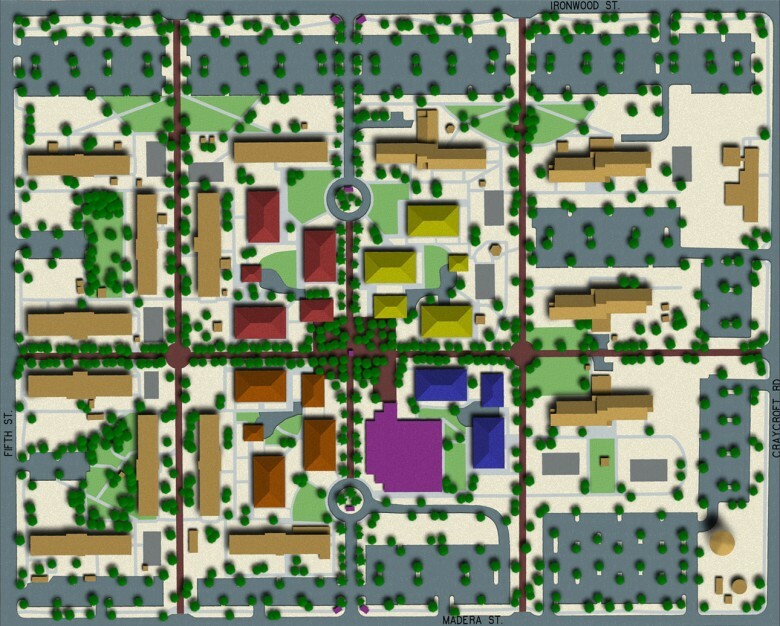 This Master Plan redesigned the dormitory area to improve the quality of life for the residents by creating residential scale dorms and human scale, interactive courtyards. By relocating parking to the perimeter, the area becomes pedestrian oriented and responds to blast protection as well as security issues. Recreational facilities and ramadas create activity nodes. The central dining facility with an outdoor eating plaza ensures the vitality of the core. The consolidation of the educational facilities, library, post office, thrift shop, and other support functions into one building creates an interactive community center. A three-day planning charette involved over 50 people in the consensus building process. This entry was posted on August 13, 2013 by swaim_admin.